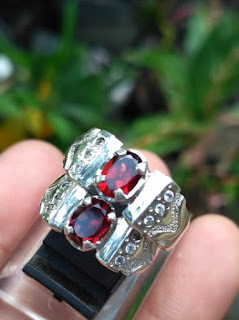 A special rings for a lovers are made by a master of silversmith from Kota Gedhe Jogjakarta. 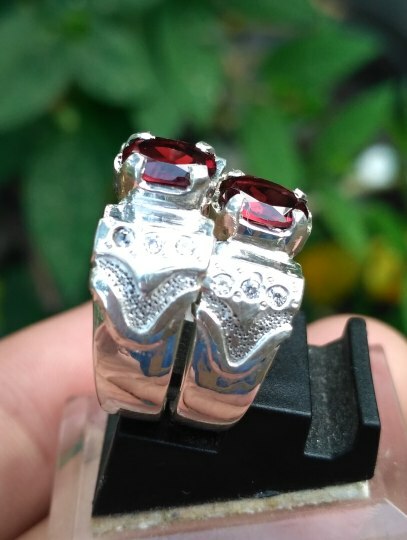 This couple rings use two identical natural Garnet. 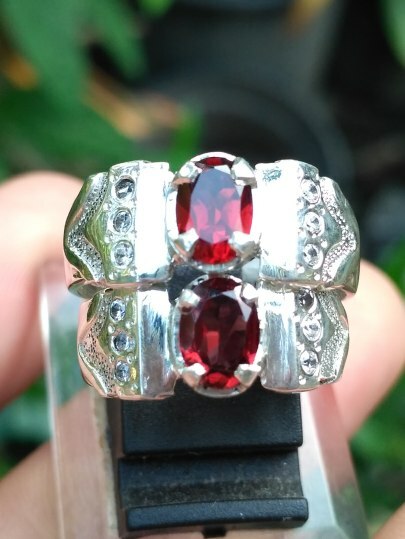 The size of the garnet is (est) 7mm x 5mm x 2mm. The ring size for the man is 21mm, and the woman is 14,5mm. Price: Rp. 370.000,- shipping cost is included for Indonesia delivery areas only! 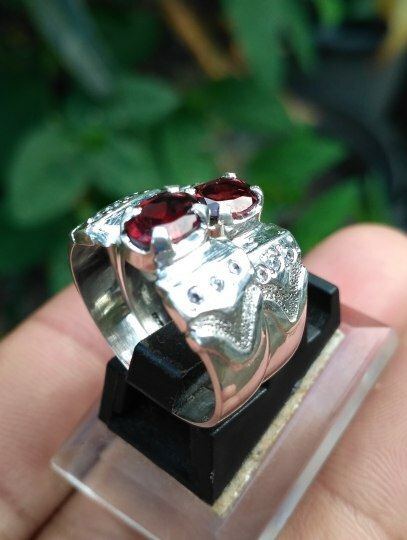 Get this beautiful Natural Garnet now! !